One decent episode out of 18 does not inspire confidence. It is a large if, yes... And we've had our fair share of pretty good ones. But not to this caliber. I hope they can keep this up. This show desperately needs it. AND FOR THE ACES TO MATTER. Aside from Torra have the aces, as characters outside their ships, had more than 10-15 minutes screen time this whole season? I still find it odd they billed this show as one focusing on racing and aces and the like and they have by far gotten the least amount of time on screen. Got a chuckle when I saw the video still with the ABC News logo underneath General Hux's face. I enjoyed No Escape part 1. Seems the station will become mobile, perhaps becoming. Resistance headquarters? Despite some of the flaws, the show is showimg some interesting development for the sequel era, fleshing out the modus oprandi of the First Order (for those that don't read the books). I'll be very curious to see how much this show ties in to episode IX. Also, really hope to see Tam join the first order.. the conflict she feels is great for the overall story. 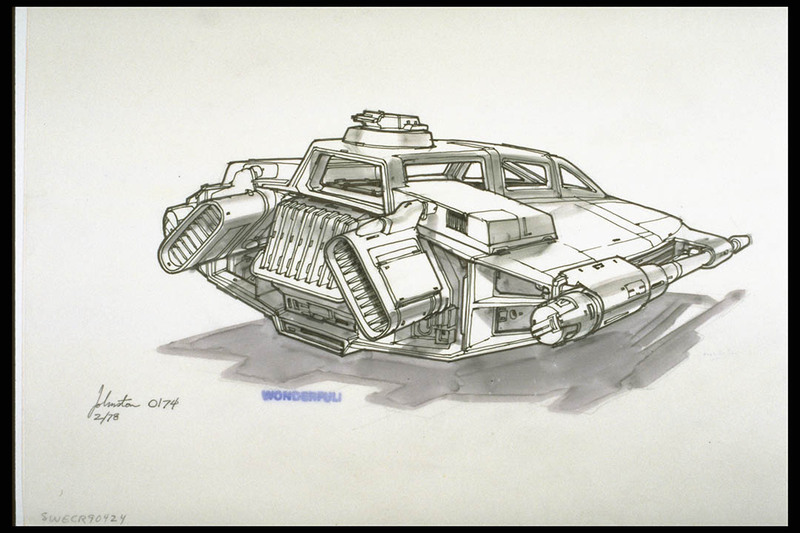 And one piece I felt shouldn't have been in the concept art. I'm guessing the pirate ship can either transform to go underwater or more likely into space. I'm not convinced that they'll make Tam a bad guy but I'm fully on board for her joining the FO. If she finds out about the Starkiller attack before enlisting, I think she might not go through with it. We shall see how it goes. While I agreed with others that suggested the Colossus would be mobile, I did not expect it to have a hyperdrive. In retrospect, it actually makes a lot of sense. It's arguably more feasible to construct the station in a shipyard and then send it where it needs t go, even if it's not intended to remain in space. I'm just hoping Tam joins up, albeit temporarily, for story purposes. There are many instances and stories of someone that feels betrayed not making the best choice. As to the station, agreed building and then flying it to destination also works for the empire using up all a resource and then moving on. 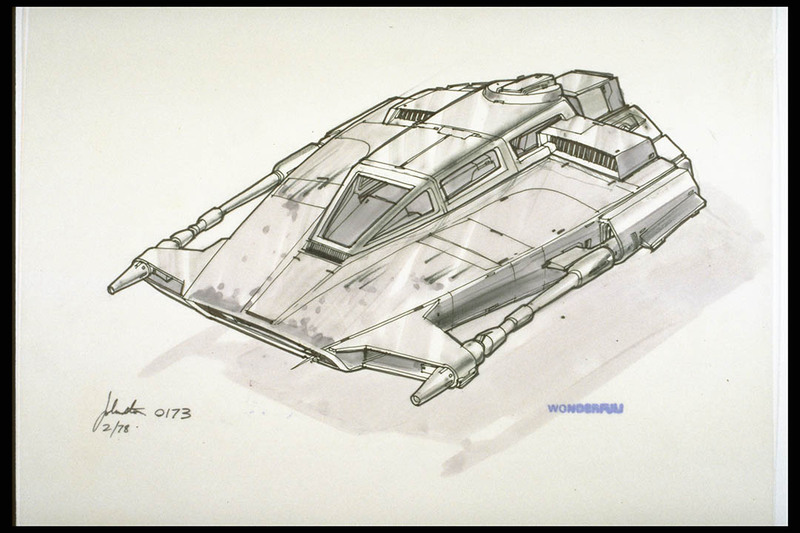 There are at least two big examples of mobile station in star wars.. The second half of season 1 only just started in the UK last week. The episode with Kaz and Poe going to the mining facility already feels a bit more Star Wars, and also shows a slightly more serious side to the show. IIRC the same thing happened in Rebels as well, where the first half of season 1 felt like a poor attempt at a kids show, and then they made it more serious, and of course the show got better because of it. There were two more bits that also look to be of the galleon, which makes me think they either intentionally slipped this in as a preview, or they dun goofed it. A rather annoying little promo for the finale. Looks like more station flooding if nothing else. My guess is they end up flooding parts of the station to get rid of the First Order forces there, power up the engines and Hyperdrive and then take off, looking out into space at the finale with the racers we know literally nothing about. Hopefully the episode will give Kaz a moment or two to deal with the fact he thinks his whole family and friends are dead rather than just rushing it. So it is mobile and armed, interesting. I wonder what the shields are like. My guess is non-functional. The colossus seems to be in a constant state of near non-functioning. It is what happens when you don't have a galactic empire footing the maintenance bill. While it is a beat down thing, the station has some good potential to be a mobile base for the Resistance. Can operate in space and touch down on the surface, or at least water, and become a outpost. I gotta say I really liked this episode, sad that when the show finally starts picking up the season ends. And when the next season starts it might have elements that go hand in hand with IX. Did anyone else notice Kaz taking a shot a TIE with a blaster and it blowing up??? I know this is a kids show but come on Disney!!! Jyn Erso was going to have a similar scene in Rogue One. Leia shot at Slave 1 on cloud city, Stormtroopers shot at the Millennium Falcon at Mos Eisley, Poe’s X-wing on Jakku, while stationary, was destroyed by handheld blasters. 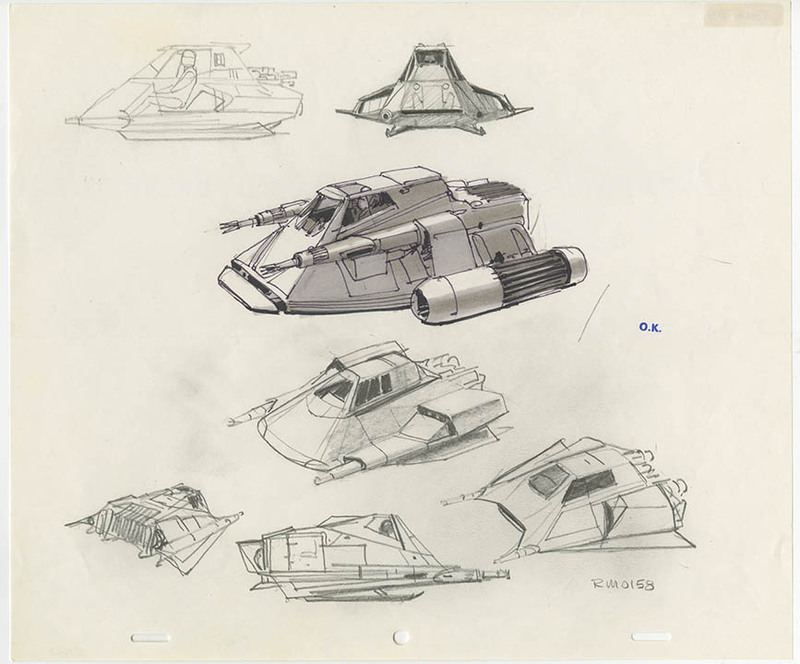 I believe rebels and clone wars may have also had examples. Point is, there is precedent in live action, before and after Disney of characters shooting hand held weapons at vehicles, sometimes doing damage, other times not. Also, the clip was VERY short, and it is possible there was more to it than we see. It'll probably be the "shooting at vehicle and it blows up, having just enough time to ponder the actual strength of your weapon before the vehicle that actually shot your vehicle comes in frame" trope. Ie: Tom Hanks in Saving Private Ryan. Ahsoka "I'm Ahsoka Tano, this is Ezra, Jason and Sabine. And i.. Kix, is that you?" Which I am also fine with. Ahsoka "I'm Ahsoka Tano, this ﻿is Ezra﻿, Jason﻿ and Sabine. And i.. Kix, is that you?" I think we could do worse than a Sidon Ithano (Crimson Corsair) show. I'd watch it. Trailer for the finale. There's a bit of a spoiler in there regarding Yeager. You know **** well he didn't blow that thing up by himself. Full disclosure, that was a First Order heavy blaster that killed Poe's X-Wing. That thing is basically fighter grade. 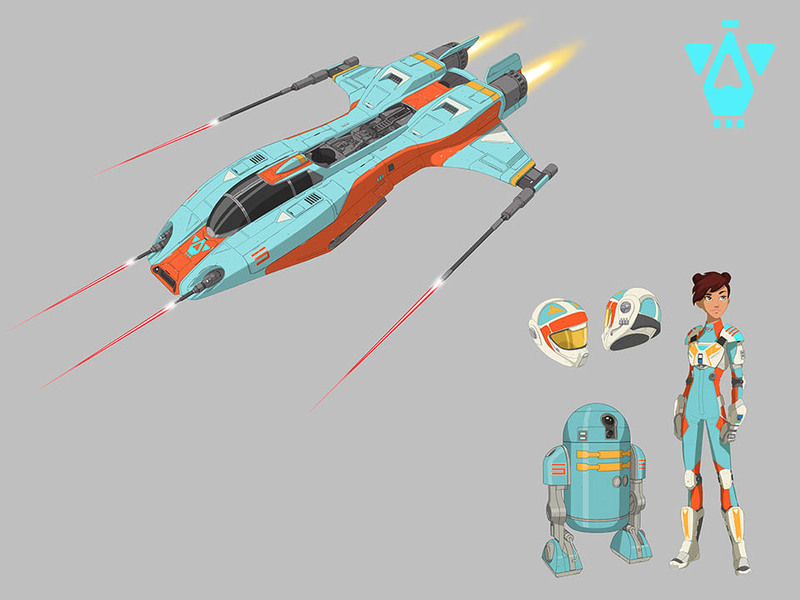 Some new concept art stuff, so great fun. 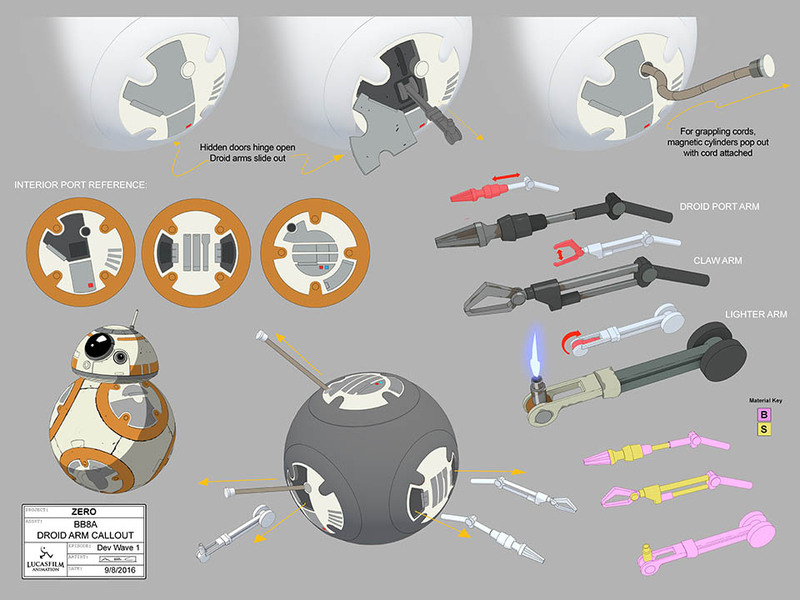 First up is BB-8, gives us the first real good look at all his droid arms and tools. Still say that the R-Series has alot more that they bring to the table, but that is me. 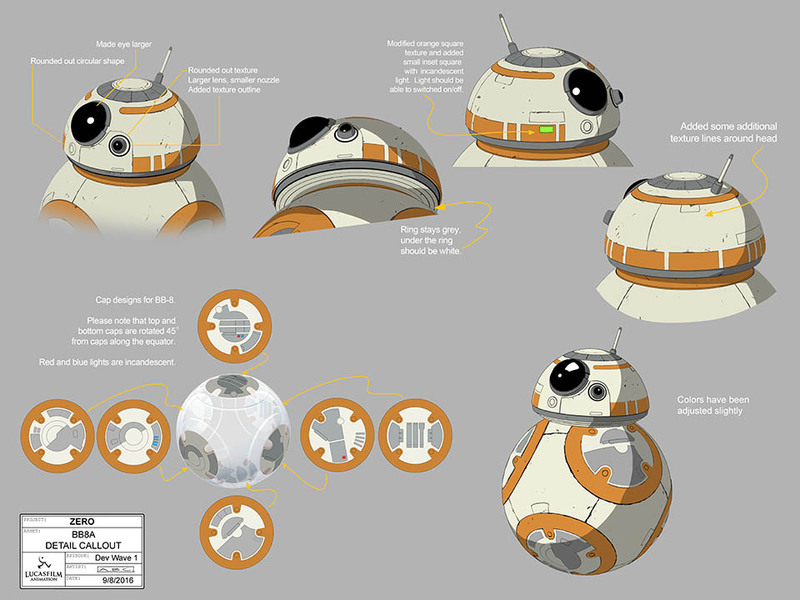 Hype's Astromech, R4-G77. It is slightly frustrating with it having the R4 there since it clearly isn't related to any R-Series astromech but whateves. 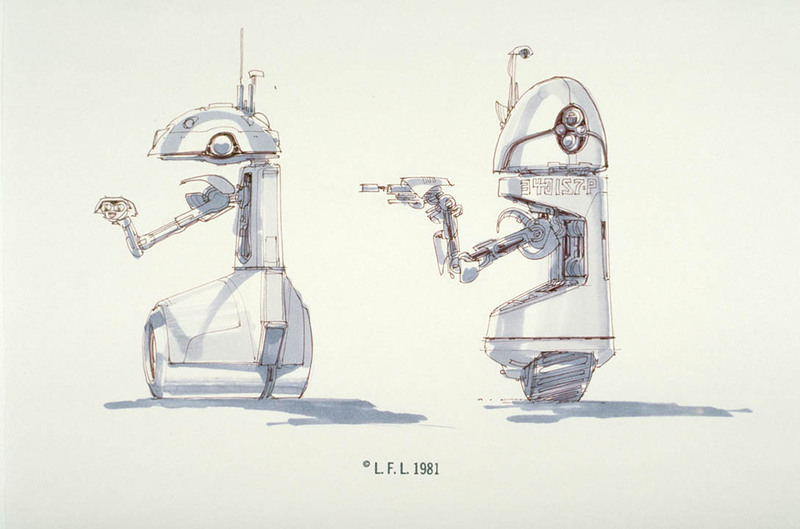 The design was based on designs from concept art ideas from the OT where it looked like it was floating so they leaned into it. Apparently it is a one of a kind droid that Hype had built since his racing won him fame, glory, and tons of credits so he got it to really show off and stand out. 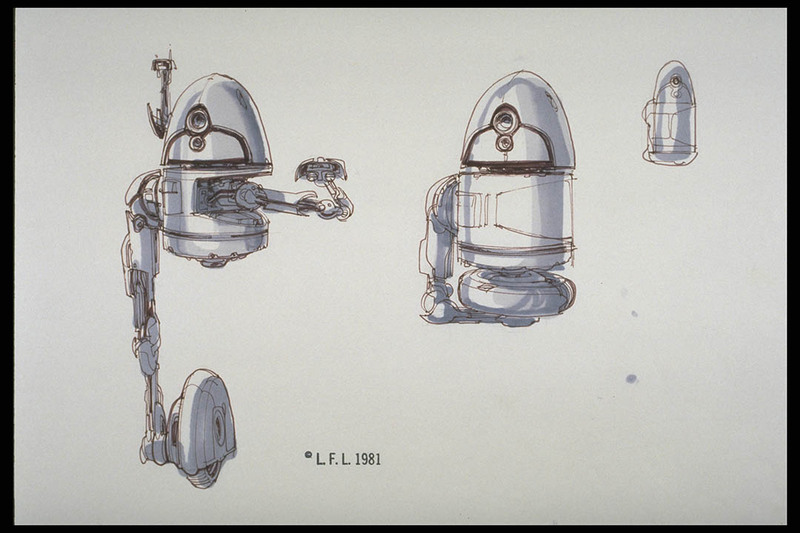 droid concept art in question they referred to. 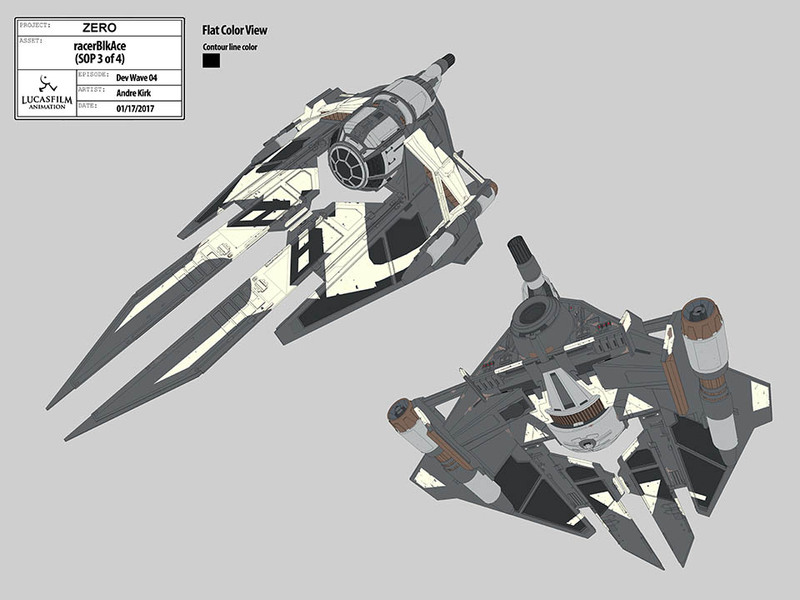 Torra's starfighter, Blue Ace. 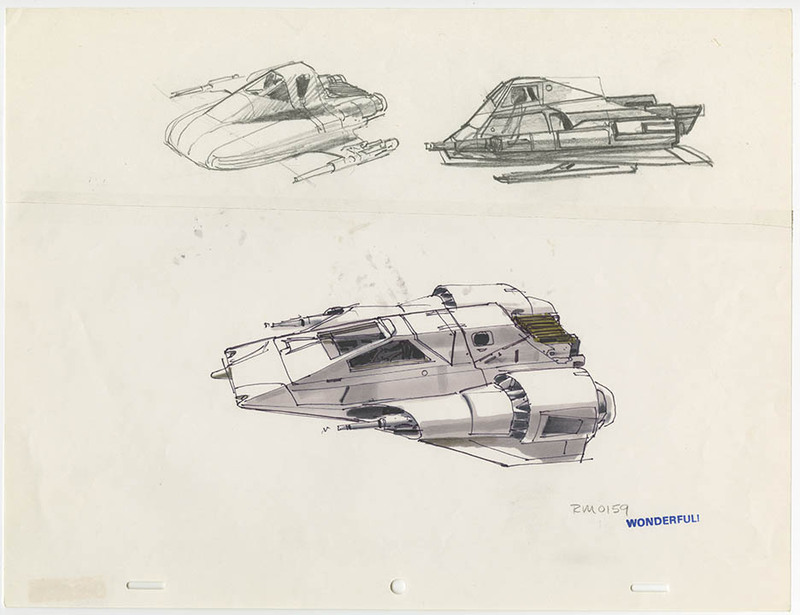 The ship was apparently designed from 'kitbashing' older concept art bits from the OT to make a 'unique' starfighter the likes we have never seen before. 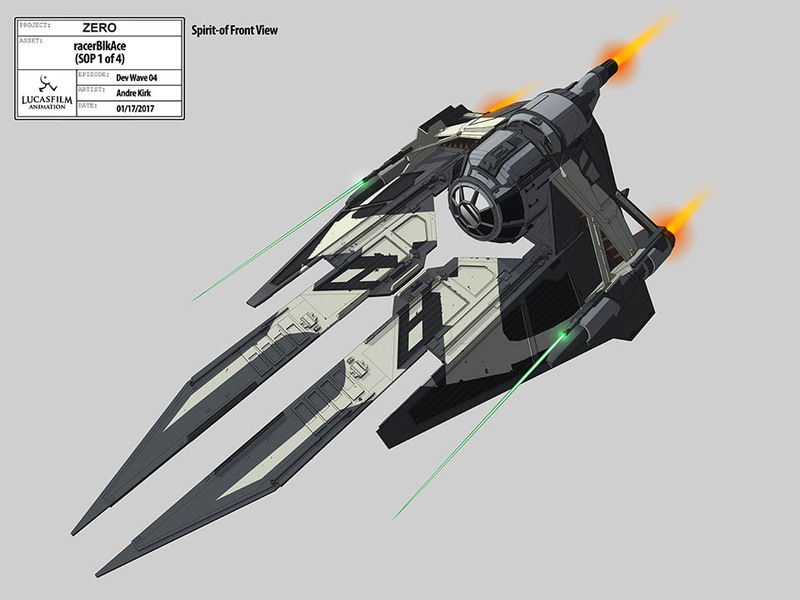 I guess that kills the idea of it being a R-41 Starchaser or a successor to the line, especially as they go on to mention that is is a custom built ship that is one of a kind that Torra had built due to being born into wealth. He astromech is similarly custom built just for her so it would be more rounded rather than being an off the shelf model. Griff's Black Ace. 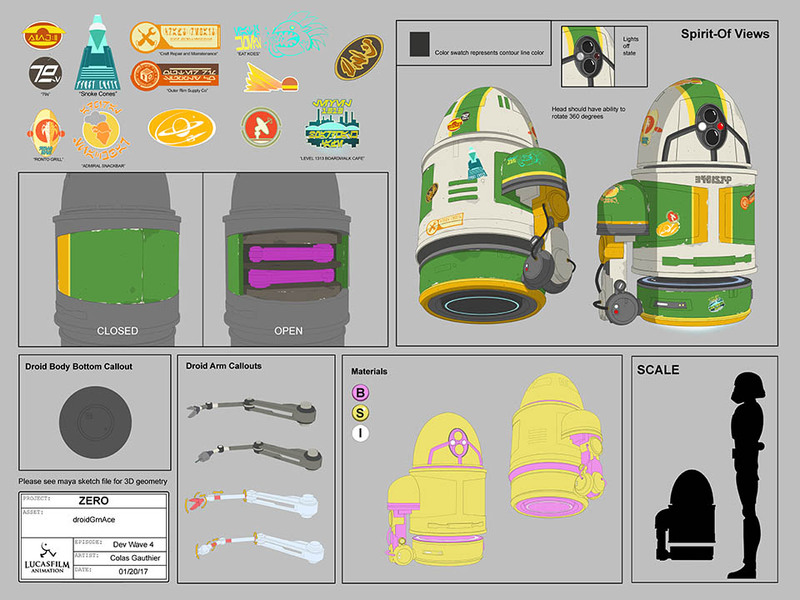 It was designed around the idea of Griff being a TIE test pilot with this being a next generation TIE prototype that he flew. 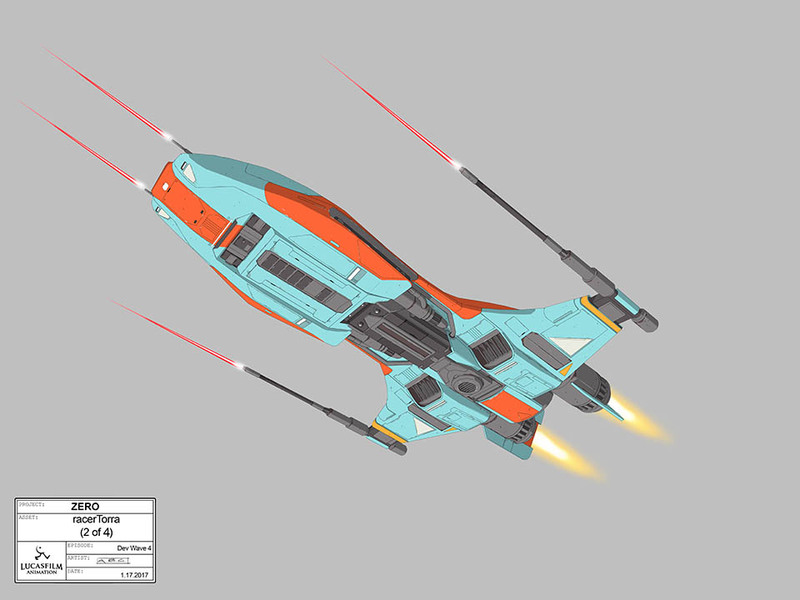 Granted, that is where they started the design of the ship rather than it being its exact background which is still up in the air since this is all they gave us. 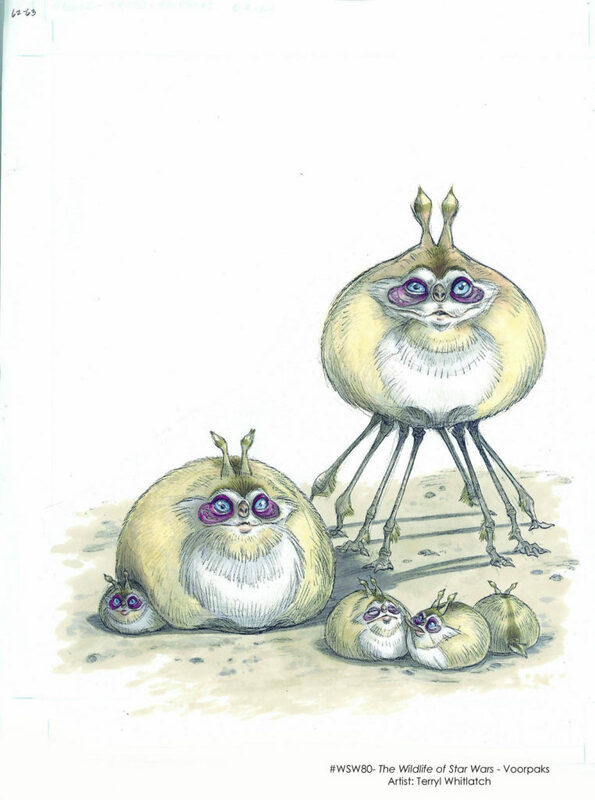 Buggles, so we get a name for it now, it is a Voorpak. 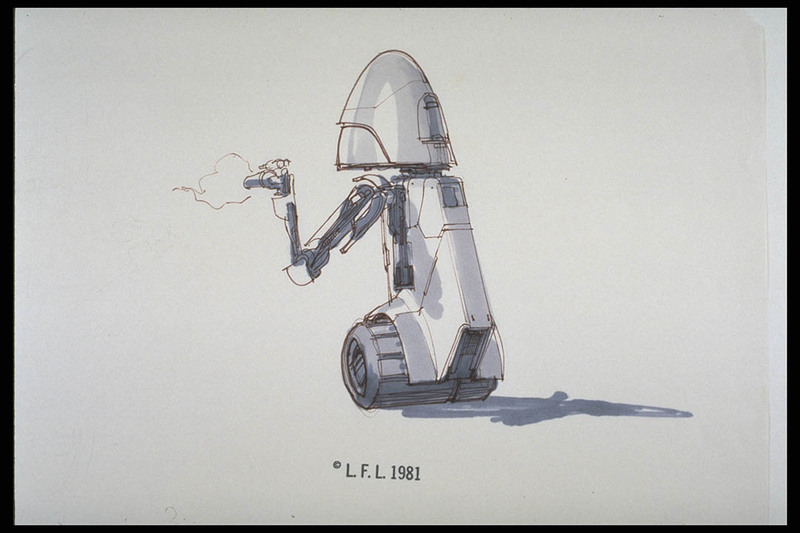 They based it off this sketch in The Wildlife of Star Wars. 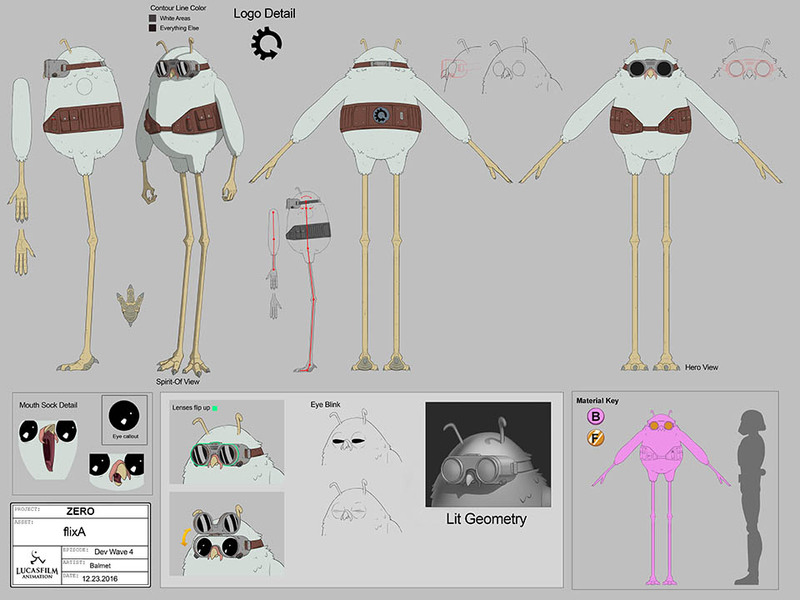 The main differences being that the sized it up to be more dog than rabbit sized and reduced the leg count from 8 to 6 to make the design less busy and save the animator's sanity.